The Off Grid Access to Electricity Innovation Challenge (IC#2) has set the ambitious target of reducing the cost of electricity for remote applications by 50 per cent within three years. Disruptive solutions are needed to achieve this target. IC#2 is co-led by France and India. François Moisan, Executive Director for International Strategic Research at the French Environment and Energy Management Agency (ADEME), discussed the deliverables of IC#2 and the plans to achieve the ambitious target of reducing the cost of electricity for remote applications by half within three years. 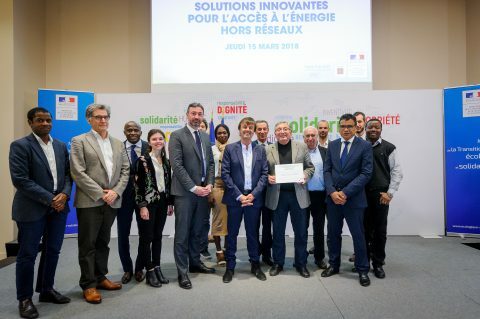 We spoke the day after the results of the French competition for “Innovative solutions for off grid access to energy” were announced by French Minister of State for Energy and Environment, Nicolas Hulot. The funding for this competition was stimulated by the IC#2 workshop held in Paris in July 2017. Interest in the competition was high, with ADEME receiving 92 proposals by the deadline in November 2017. Nine projects have been selected to receive a total of €1.8M from ADEME to contribute to their total budget of €5.8M. The projects cover a range of renewable energy technologies (hybrid systems, solar, river stream generator and biomass), but also different uses of electricity to enhance economic development (irrigation, agriculture, desalination and mobility). There is also innovation in the payment method (Pay As You Go, leasing) and in the business models that are adapted to the relevant conditions. All projects will empower local residents to take ownership of the sustainability of the solutions. For example, a project in Madagascar will develop nanogrids to allow the electrification of 5000 rural homes and train over 100 local entrepreneurs. The project will also stimulate replication at a large scale. Profiles of the funded projects can be found here. The recognition of the need for systems innovation, is also reflected in the off grid competition run by the other IC#2 co-lead, India. Interest in this competition has also been high. Proposals are currently being evaluated and the results will be announced at the third MI Ministerial. In addition to funding these exciting projects, the participants in IC#2 are developing contacts and collaboration with international organisations such as SE4All and the Rocky Mountain Institute. These organizations recognise the need for standardisation and large scale procurement to achieve the target cost for electricity for remote applications. François acknowledged the challenge of effective international collaboration amongst MI members when often national R&D budgets cannot be pooled, but was confident that solutions can be found through the active engagement of MI members in IC#2. Please contact François or Sanjay Bajpai from the Indian Department of Science and Technology for more information on IC#2.